Under the guidance of Alexander Gulyavtsev and the leadership of Dmitry Kagarlitsky, the Cherepovets-based team had a great season. KHL.ru reviews the 2017/2018 campaign for Severstal. Last year, Severstal was in the last third of the standings, at more than twenty points from the eighth place in the Western Conference. The Cherepovets team was in the last positions of the ranking according to which three teams had to leave the KHL at the end of the 2017/2018 season. As a result, these stimuli worked for Severstal like for no other team: the league got a very bright team that managed to get to the playoffs and give a good fight to the reigning champions. During the summer, Severstal didn’t fully rebuild the roster. The native of Perm, Alexander Gulyavtsev, who is not new to Severstal, was confirmed as the team’s head coach despite his not successful 2016/2017 campaign. The boards decided to give the coach time and trust to realize his ideas. Moreover, the team fulfilled their main goal: retaining for another season the local star and leader of the team Dmitry Kagarlitsky. 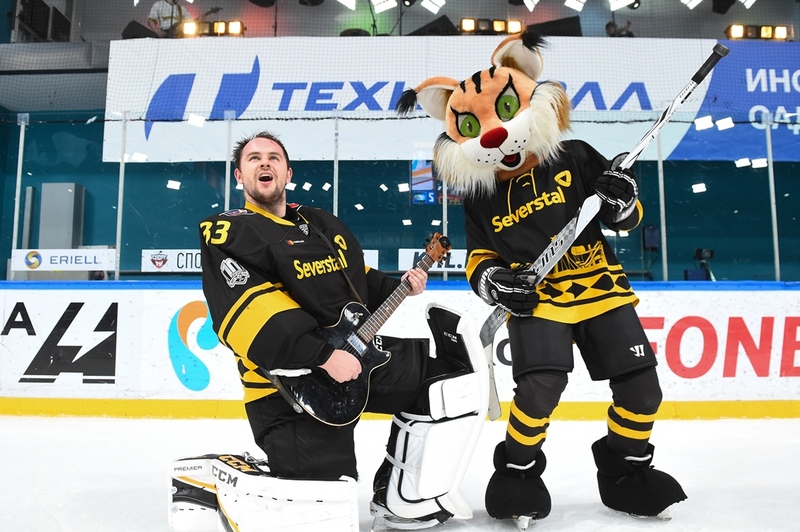 Severstal also acquired a good goalie from Europe, the Slovak national Julius Hudacek, who was eager to show that he can play at the KHL level, and the team needed exactly that. The steelworkers’ city was dreaming of getting into the playoffs, as the team failed to qualify to the postseason for four consecutive seasons. 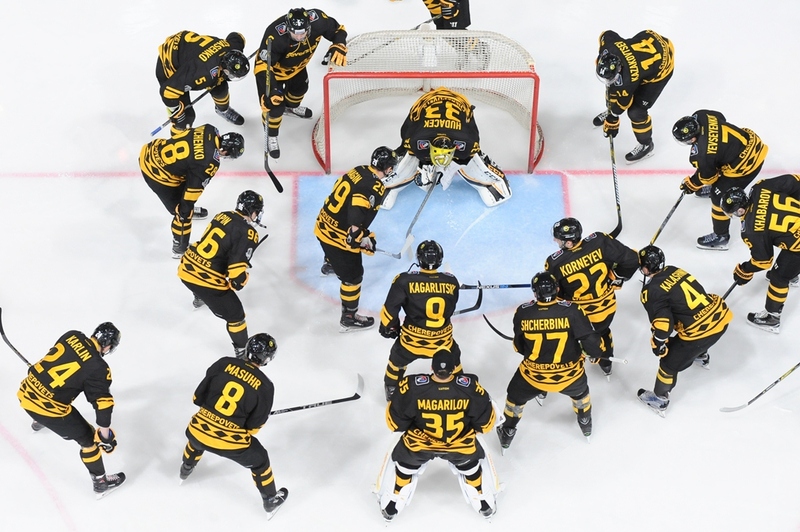 There were huge expectations for the new season, but not everything started the right way as Severstal lost the first four games, all played away. In the next games, Severstal won twice, but then they were again trapped in the old bad habits, losing four games out of five. The team was playing well, but they lacked something needed to win. Some of the journalists predicted that in this situation, the boards would take some swift measures, but these didn’t happen. Gulyavtsev kept his place, the players kept on having faith on him and adhering to the game plan, and things began to improve. As a result, the steelworkers never lost the control of the situation and never had a true losing streak. 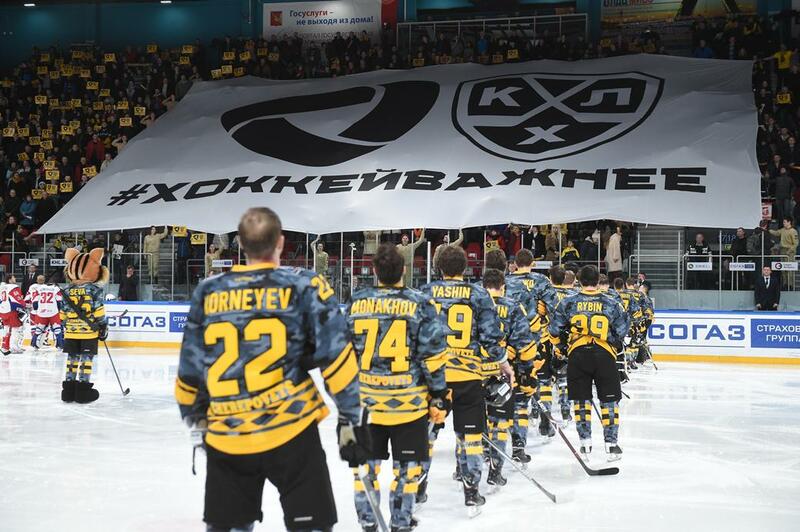 Quite the opposite: Severstal left the ice without gaining any point in only 18 games. The team was able to steal points to Ak Barsk, Lokomotiv, Metallurg, Salavat Yulaev, and no one could think that any game against them would be an easy walk. The team’s leaders were the local players, who were super-motivated to show that Cherepovets has its right to stay on big hockey’s scene. The highlight here is Dmitry Kagarlitsky, who was one of the top-10 scorers of the regular season, didn’t post a negative +/-, and played more than 20 minutes a night. But no stat can truly tell the importance of Kagarlitsky for his team as a true leader, who was a great example not only on the ice, but also in the locker room. But Severstal’s direct concurrent for the playoffs race didn’t lose time either. Spartak tried very hard to get there, HC Sochi tried everything not to lose positions, and even HC Dynamo fought till the end for its place in the top-eight. As a result, Severstal had to complete a seemingly impossible mission. In the latest two games of the regular season, they faced CSKA and SKA, two of the best teams in the league. However, the team led by Gulyavtsev managed to fulfill its goal: the Red Army was defeated in the regulation, while SKA only in the shootout, without allowing any goal. It was enough to get to the postseason. Severstal had to face SKA once again in the playoffs first round. They needed only four games, but each of the encounters was memorable! In neither game, Severstal looked significantly worse than the Gagarin Cup reigning champions. SKA had the upper hand, but Severstal fought very hard in all the four games and the series was a good ending for a successful season. “If we’ll get to the playoffs, my players will shave my hair off” – this is what Alexander Gulyavtsev said during the season. As it is said, a man is as good as his words, and directly during the playoffs series against SKA, in the team’s locker room, the team’s captain Kagarlitsky shaved Gulyavtsev amidst the resounding applause of his teammates. Jokes apart, Gulyavtsev’s contribute to Cherepovets’ success is often undervalued. The 45-years-old coach passed through all the careers steps as he started from MHL and got first to the VHL, and then to the KHL. After this season there is little doubt that he’s here to stay. This season’s games between Severstal and Lokomotiv have been a true show. Two games out of the four ones finished with a 6:5 Lokomotiv win after the regulation, and in both games Severstal had a big comeback. If talking about games with fewer goals, here we should remember the clash between the Cherepovets-based team and CSKA Moscow on February 27. This game would decide whether Severstal got to the playoffs or not, and the Red Army had a significant advantage in the shots column. But they could score only once, against the four goals of their opponents. Many teams had so many variants for this category, but Severstal just had two, one of them being a goalless defeat against Avtomobilist. November wasn’t a great month for the Steelworkers, and Yekaterinburg was the last stop of a road trip on the Urals. The team didn’t play significantly worse than the opposition, but they got five unanswered goals. It was definitely not Severstal’s day, in particular it has been a bad day for Julius Hudacek. Here it would be possible to write about Hudacek, his postgame shows and his strong performance in the crease in the most-needed moments. Or the young defenseman Valery S. Vasilyev, who had a significant jump forward in production. But the true discovery of the season was the whole Severstal team. Not only on an on-ice plan, but also from a media point of view. Tons of special and charity events, special press-tours for the media, the availability of every player and coach at any time to give interviews, continuous work with fans, activity and creativity in social networks! How would it be possible not to sympathize with such a team?